Every day, hundreds of trucks and tractor-trailers travel on Massachusetts roads, carrying tons of heavy cargo. It is essential that this cargo be adequately secured. Otherwise, there is a very high risk of the load, or pieces of the load, to come loose and into contact with another vehicle, bicyclist, or pedestrian, causing very serious injuries or wrongful deaths. There are many different hazards regarding unsecured truck loads, but the most common include improperly and inadequately held construction equipment being towed, automobiles being carried, and mobile homes being transported. 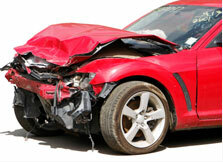 Contact the Boston car accident lawyers at Bellotti Law Group, P.C. today at 617-225-2100. We have assisted numerous victims and their families after being injured or wrongfully killed following an unsecured truck load accident. We understand the devastation—physically, emotionally, mentally, and financially—and will fight for full and fair compensation for your damages. According to the AAA Foundation for Traffic Safety, each year there are a staggering 25,000 car accidents directly attributed to unsecured loads on the national stage. These car crashes result in 80 to 90 fatalities and many more serious injuries, including broken bones, closed head injuries, traumatic brain injuries, paralysis, spinal cord injuries, and others. Most often, unsecured load accidents are caused by flying garbage from waste management trucks, shredded tires from tractor-trailers, loose lumbar, and construction materials. However, feasibly any materials that are not properly secured can fly from a moving vehicle and strike another, which is often traveling at high speeds, causing potentially catastrophic damage. Construction equipment and supplies, including landscaping tools and equipment, often being towed behind a work truck, present the most danger. Unfortunately, if the not secured properly, heavy construction equipment like Bobcats and other smaller tools like rakes and backhoes can break free, litter the roadway, and smash into other vehicle. Car accidents involving improperly secured truck loads and cargo may be due to the other driver's negligence. When a driver does not take car and time to effectively secure the load, speeds, take sharp turns, doesn't check the security of the cargo frequently, or the truck or trailer itself is not properly maintained, they may be held at-fault and liable for injuries or wrongful death. Further, a utility company and/or construction company, along with their contractors, are liable if they do not meet their legal responsibility of ensuring their vehicles and loads are safely operating on the road. The Boston car accident attorneys at Bellotti Law Group, P.C. will immediately launch an investigation into your case and hold any and all at-fault parties liable. We will get your medical costs covered, lost wages recouped, and pain and suffering compensated. Don't face the system alone or miss a filing deadline due to the Statute of Limitations. Contact our Boston, Cambridge, or Quincy office at 617-225-2100. We have decades of successful dealings with insurance companies, medical providers, and employers. Our attorneys will negotiate the best settlement possible on your behalf and are meticulously prepared to litigate for you in court if necessary.